Within the passing year Acteeum has been consistently implementing its strategy of developing retail projects in medium-sized urban centers throughout Poland. The experience of recent years proves it as right development direction which will be continued in the years to come. Such approach answers the expectations of all retail market participants – investors, tenants, local communities and individual clients of shopping centers. 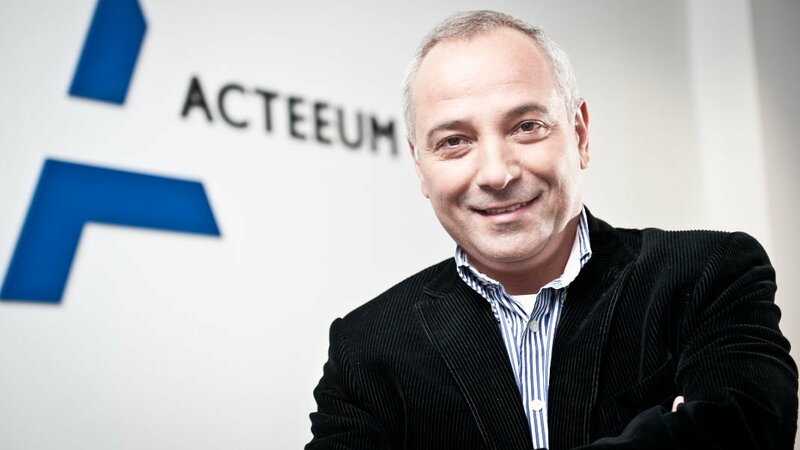 Over the passing year, as in the last few years, projects delivered by Acteeum have been proving that the good development strategy shall focus on developing of commercial facilities in carefully selected medium-sized urban centers. Successful projects like Galeria Solna, Galeria Tomaszów, Galeria Wołomin, Vivo! Krosno or Vivo! Stalowa Wola show that the retail market expects further development of such undertakings. In recent years We have consistently observed saturating of the largest urban agglomerations with shopping centers. At the same time, we can clearly see – and our latest projects confirm this thesis – the large market demand for the development of modern commercial, service and entertainment projects in medium-sized urban centers, with still unanswered needs in this aspect. However, selecting of an optimal location, ensuring the success of the future shopping center, requires a lot of experience and a great recognition of the local market – including competition, feasibilities and preferences of the local community as well as shopping and lifestyle needs of the ultimate customers. The experience we have gained during the last dozen or so years while developing a number of commercial facilities allows us to identify the key elements necessary to ensure the success of a retail project. The most important factor is to indicate the right city, with a significant unanswered demand for a modern retail center, enabling customers to do comprehensive shopping and spend a joyful time in a functional, attractively designed environment. It is also necessary to secure a well-connected location in a given city, taking into account the current and future specifics of communication and urban planning. I parallel, it is vital to have faultless relationships with the local community and authorities. We are convinced that the role which shopping centers serve to local communities is changing every year, especially in medium-sized urban areas. The previous role of a typical shopping center, ensuring possibility of comprehensive shopping, is being fundamentally expanded. As never before, residents of medium-sized cities and their regions expect a local shopping center to become a place that comprehensively addresses their expectations and lifestyle aspirations. Today’s shopping malls are places that residents want to identify with. They expect retail facilities to provide various forms of spending free time within modern and functional architecture, referring to the local flavour, ensuring personal satisfaction. The culture-forming role of commercial facilities is also becoming increasingly important. Providing entertainment, sports and fitness activities, an attractive café & restaurant offer packed within a quality design becomes – along with shopping aspects – a prerequisite necessary for achieving success. A experience gained on the recently completed projects such as Galeria Tomaszów, Vivo! Krosno, Vivo! Stalowa Wola and others confirms that Acteeum’s participation in the planning, development and commercialization of shopping centers and retail parks guarantees their success from the perspective of investors, tenants, local communities and shoppers. Our experience ensures securing the best locations, meeting the development schedule and budget and 100% commercialization. This is also being continuously confirmed through the success of the projects we currently manage – in Chełm and Andrychów. Advanced development and commercialization processes achieved a year before the openings prove that Acteeum ensures the success of the retail projects.